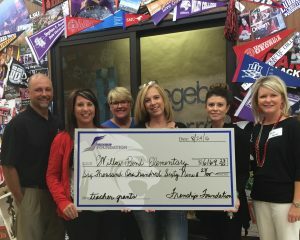 Serving and giving to Frenship ISD since 2002. 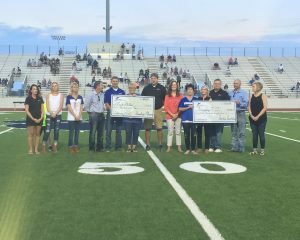 The purpose of the Frenship Foundation for Leadership is to solicit, manage and distribute supplemental funds for educational purposes in programs areas that may note be funded by the District. Funding is supplemental and does not replace or alter use of tax-based revenue. Donations are received from individuals, corporations and other foundations to fund educational programs and projects that are in alignment with the school district’s strategic plan and to create an Endowment Fund. Programs will be funded from donations as well as a percent of an established Endowment Fund. The Frenship Foundation for Leadership was created in the spring of 2003 when 3 of our employees had circumstances arise out of their control that created financial difficulties for them and their families. FEERF (Frenship Employee Emergency Relief Fund) was created to help families in need. FEERF is still helping our employees today. In the spring of 2004, the foundation wanted to begin a new endeavor to assist our teachers and students for consistent displays of integrity and character. The Foundation was based upon the belief that “character” is vital component in defining success, and “giving” is a major element of character. 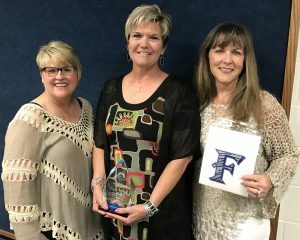 Since Frenship ISD has emphasized the teaching of character since 1997, there became a movement to reward FISD students who have shown a dedication to integrity – at a time in life when that may be the toughest. It seems ironic that college scholarships are most often granted to students for talents they were given at birth. In most cases we recognize that students have chosen to further develop or enhance those talents – yet, they still were born with intelligence, size and speed, musical/artistic talent, athletic ability, etc. Research suggests that character in youth is the greatest predictor of future success – and the primary difference…it is a choice we all are allowed make. In the spring of 2004 we organized an annual Golf Benefit –The Drive for Leaders – as a major fund-raiser. 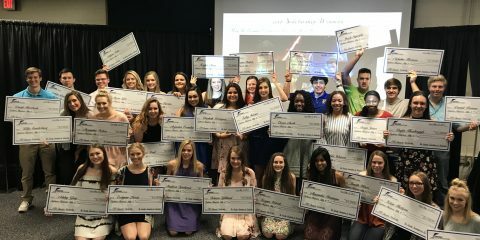 Since the inception of these scholarships, 244 Frenship graduates have been granted $644,600.00. In 2012 the foundation added the Foundation Gala. Funds from this event were designed to be given to teachers in the district who shown innovative practices that may require additional funding to continue that endeavor. Since 2012 we have awarded $151,512.89 to teacher grant winners. The Frenship Foundation also oversees the Alumni & Friends organization. Alumni & Friends have awarded 2 Fallen Tiger Memorial Scholarships since 2016. This scholarship fund was established to remember fellow students that are no longer with us. This group also started awarding the Wolfforth Chamber of Commerce Teacher of the Year a cash prize as a way of saying “Thank You” to outstanding teachers that are working with our students in the district. 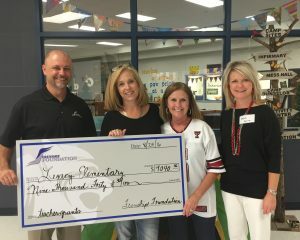 With the 501(c)(3) status, we can give our teachers a tax credit for their annual donations to the Frenship Employee Emergency Relief Fund, as well as our donors to the annual Drive for Leaders golf benefit and Foundation Gala.